Traditional leadership development whether in house or in business schools focuses on teaching potential leaders what to do in different situations and what behaviours to adopt, with learning through case studies. This ‘once off’ model of learning is inadequate in an increasingly complex business environment, where there is an ongoing breakdown in long established industry boundaries, and an ever increasing pace of change. Leaders increasingly need to be able to think their way through complexity, and make decisions fully cognizant of emerging changes in the big picture. They need to be thought how to learn from their own and other’s experiences. This is where mentoring can have a role. Mentoring is about ‘time travel’.The mentor has travelled a similar road already and can show the employee what lies ahead, and help him prepare. Potential identification /development and enhancing employee self awareness and confidence. Professional friendship – being there as a support and being prepared to share own experiences and past mistakes. The traditional and most common model is that of the older more experienced mentor passing on his/her wisdom to a younger employee. The cross functional mentor passes on his/her knowledge of another function. Young mentors can help older employees adopt to new world of the internet and social social media. An external mentor can be sought if a suitable internal mentor is not available. The strategic benefit of program must be understood and accepted at the highest level organisationally. 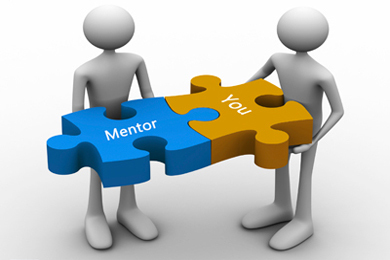 The mentor should have relevant domain experience for the employee being mentored. The mentor must be available and willing to give generously of his/her time to the program and be willing to share, be a ‘story teller’, and listener. So mentors should be enthusiastic volunteers. The sessions must be confidential. There should be no conflict of interest. The mentor must have no agenda other than to support the employee and therefore must not have a working relationship with the employee.